(CBS) Daniel Radcliffe has already admitted to at one time being "reliant" on alcohol, but now the actor says he used to show up to the "Harry Potter" film set drunk. 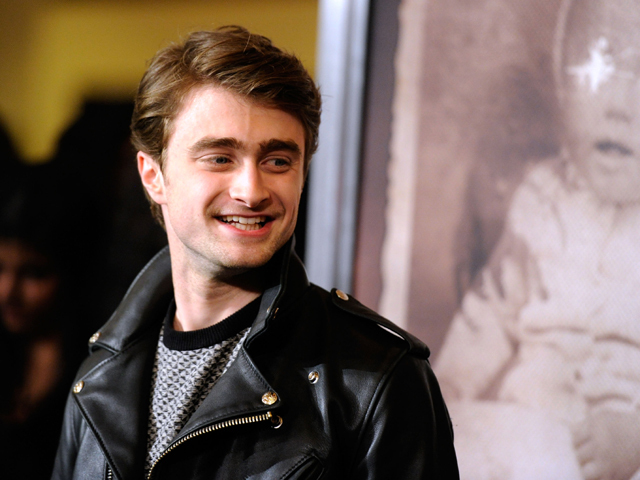 In a new interview with British celebrity magazine Heat, Radcliffe, 22, revealed, he would drink "nightly." Which means some of your favorite scenes may have featured a drunken wizard. Read more: Daniel Radcliffe on his first major role after "Harry Potter"
"I can honestly say I never drank at work on 'Harry Potter,'" said Radcliffe. "I went into work still drunk, but I never drank at work. I can point to many scenes where I'm just gone. Dead behind the eyes." The British actor, who has since given up alcohol completely, said he has a very addictive personality, adding, "It was a problem." "People with problems like that are very adept at hiding it," he revealed to the magazine. "It was bad. I don't want to go into details, but I drank a lot and it was daily - I mean nightly." Radcliffe stars in the new thriller, "The Woman in Black," which opened in theaters on Friday.